Access to health insurance in the United States is one of the most hotly debated issues in the national discourse. Prior to the implementation of the Affordable Care Act (ACA), 44 million Americans lacked health insurance, including many low-income nonelderly adults who did not fall within traditionally covered Medicaid eligibility groups, including pregnant women, disabled adults, and low-income children.1 Since the ACA went into effect in 2013, 11.9 million newly eligible people have gained coverage through Medicaid in states that chose to expand their programs.2 In addition to producing better health outcomes, Medicaid expansion has resulted in new enrollees having access to quality care without the threat of financial turmoil. Still, opponents of the ACA desperately seek to roll back this progress. 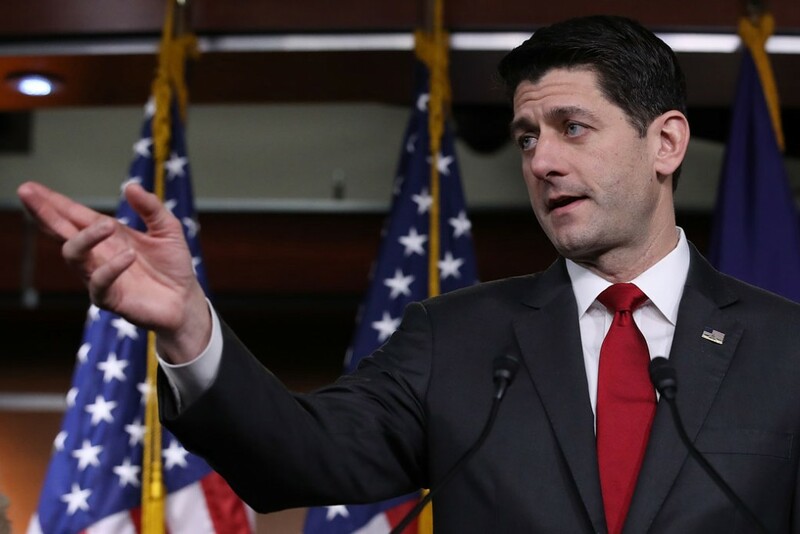 Since passing sweeping tax legislation, House Speaker Paul Ryan (R-WI) has made clear his desire to cut a wide range of critical programs in order to meet the tax bill’s $1.5 trillion price tag—and in particular, cuts to Medicaid, which have long been a priority for Ryan.3 In order to pave the way for what are sure to be deep and devastating cuts to Medicaid, conservatives are recycling the same tired myths about this essential program. Recent research demonstrates the inaccuracy of these claims and highlights the significance of Medicaid coverage. Myth: Medicaid coverage has little positive effect on enrollees’ health. Reality: Medicaid plays a critical role in providing enrollees with preventative care and improving health outcomes. House Speaker Ryan and other conservative leaders often reference a study on a pre-ACA Medicaid expansion in Oregon to argue that Medicaid enrollees do not experience positive health outcomes. Among its wide range of findings, the study showed that Medicaid coverage “did increase use of health care services, raise rates of diabetes detection and management, lower rates of depression, and reduce financial strain.” However, it failed to show improved physical health outcomes for expansion enrollees after two years.4 Using this single finding, conservatives have attempted to cast doubt on Medicaid’s impact on health outcomes. Although this study’s design as a randomized controlled trial makes it an important example, its sample contained too few patients with the particular health conditions being analyzed—including high cholesterol and hypertension—to draw strong conclusions about Medicaid’s health impact.5 Furthermore, the study only analyzed the impact of the first two years of Medicaid coverage; it may be the case that examining a longer time frame would find a greater improvement to health outcomes. As the nation fights a deadly opioid epidemic, Medicaid expansion has served as a critical source of care for expansion adults—those who gained coverage under Medicaid expansion. Still, conservatives try to create the illusion of failure. Sen. Ron Johnson (R-WI) recently released a report drawing a false correlation between Medicaid expansion and the opioid epidemic.8 In his analysis, Sen. Johnson argues that Medicaid expansion provided more people access to opioid prescriptions, thus leading to higher rates of addiction. Medicaid has provided essential mental health and substance use disorder treatments to those most affected by the opioid epidemic. The Government Accountability Office released a report of four states that have expanded Medicaid, finding that between 20 percent and 34 percent of expansion adults utilized some form of behavioral health services in 2014.11 Officials in these states also reported greater access to care and increased use of medication-assisted treatment for substance abuse.12 The answer to fighting the opioid crisis is expanding access to high-quality, affordable care, not rolling it back. Myth: Medicaid coverage increases enrollees’ use of emergency services. Reality: More research is required to determine the relationship between Medicaid expansion and utilization of emergency services. Conservatives often point to the same aforementioned Oregon study to argue that Medicaid expansion leads to unnecessary reliance on emergency services. Among the study’s other findings, researchers found that emergency department visits by Medicaid enrollees increased by 40 percent in the first 15 months of expansion.13 As a result, conservatives conclude that Medicaid coverage encourages potentially inappropriate use of expensive services. However, there are contradictory findings on this issue. A study comparing Kentucky and Arkansas—two states that expanded Medicaid under the ACA—with Texas, a nonexpansion state, found that low-income adults in the expansion states were more likely to receive regular medical care and visit the emergency room less often.14 Still, the time frame since expansion is relatively short, and this presents an issue when evaluating the relationship between Medicaid coverage and utilization of emergency services. Newly insured individuals may initially utilize health services at a higher rate due to previously unmet needs for necessary care that they could not afford when they were uninsured. This higher need for health services could very well decrease over time as these preexisting health conditions are treated. Myth: Medicaid enrollees have less access to care than patients with other forms of insurance. Reality: The vast majority of Medicaid enrollees are able to find providers, and their access to care is substantially better than those without insurance. House Speaker Ryan details his grand plan for slashing funding for Medicaid in “A Better Way,” a conservative policy agenda released in 2016.17 One of his main arguments for cutting Medicaid is that program beneficiaries suffer from lack of access to care. Ryan argues that only a “portion” of physicians accept new Medicaid patients, referencing a 2009 study by the Medicaid and CHIP Payment and Access Commission that found only 65 percent of physicians accepted new Medicaid patients.18 Ryan also notes that Medicaid patients face even more barriers to specialist care. There is a wide range of evidence showing that Rep. Ryan’s argument is overblown. While it is true that physicians’ acceptance of Medicaid can be more limited than private insurance, few Medicaid patients are actually unable to find care. Newer research indicates that about 70 percent of physicians accept new Medicaid patients, compared with an acceptance rate of 85 percent for privately insured and Medicare patients.19 According to a report by the Kaiser Family Foundation, about 11 percent of new Medicaid enrollees reported difficulty in finding a physician, but fewer than 3 percent were unable to get an appointment.20 This compares with about 6 percent of privately insured patients reporting difficulty in finding a provider, with 2 percent unable to get an appointment.21 It is clear that, while Medicaid enrollees may face slightly worse access to care, the disparity between Medicaid patients and those with private insurance is not quite as extreme as House Speaker Ryan implies. Finally, Ryan and other conservatives fail to recognize the real alternative for most low-income Medicaid enrollees: remaining uninsured. A Kaiser Family Foundation study found that 1 in 5 uninsured adults went without care due to cost in 2016.22 Furthermore, satisfaction with care among Medicaid enrollees is comparable to that of patients with private insurance, rated at 85 percent and 87 percent respectively; however, uninsured adults’ satisfaction with care hovers at around 44 percent.23 Repeated studies have shown that uninsured individuals are less likely to receive preventative care and ultimately see worse health outcomes. It is true that Medicaid could be improved: Reducing wait times, increasing access to specialists, and ensuring care in rural areas are important goals. However, cutting funding or pushing people out of the program are not solutions. More needs to be done to strengthen Medicaid and ensure access for those who need it. Myth: Medicaid discourages individuals from working and traps them into poverty. Reality: Medicaid coverage has been proven to reduce poverty and improve enrollees’ overall financial stability. Despite this evidence, the Trump administration is continuing to promote policies based on these outdated stereotypes about Medicaid and work. In early January, the Centers for Medicare and Medicaid Services (CMS) announced that it would begin approving work requirements in Medicaid as part of state Medicaid waivers. Several states have already taken action to get Medicaid work requirements approved, and two states—Kentucky and Indiana—have already received federal approval.30 CMS Administrator Seema Verma said in a recent statement: “Our policy guidance was in response to states that asked us for the flexibility they need to improve their programs and to help people in achieving greater well-being and self-sufficiency.”31 Not only does Verma conflate self-sufficiency with the ability to work, but she also masks the true intention of this policy change—reducing access to Medicaid. The problem is that most nonelderly adults enrolled in Medicaid who are able to work already do; they just lack access to coverage through their employers. According to the Kaiser Family Foundation, nearly 8 in 10 nonelderly adults who do not receive Social Security disability benefits and who are covered by Medicaid come from working families, with the majority working themselves.32 Many of the enrollees who do not work are caregivers; are in school; or are ill or have disabilities. A small portion of nonelderly Medicaid adults—about 7 percent—are not working due to an inability to find employment.33 There is no evidence that work requirements serve beneficiaries; however, the implementation of work requirements threatens access to Medicaid for millions of Americans. Myth: Changing the funding structure of Medicaid to block grants or per capita caps would increase state flexibility and provide more certainty for state budgets. Reality: Medicaid allows states to tailor their programs based on the needs of their residents, and efforts to change the funding structure translates to cutting benefits. By relying on cherry-picked facts and misinterpreted data, conservatives push myths about Medicaid to justify their plans to cut this vital program. Last year’s most recent attempt to repeal the ACA could have resulted in more than 32 million people losing insurance—including 19 million Medicaid enrollees.40 If they succeed, Republican efforts to sabotage and slash funding for Medicaid succeed would result in devastating outcomes for low-income Americans and the country at large.